It’s the time of year where a lot of the winter horses have gone out to grass for a well earned break in the sunshine & when the summer horses who appreciate a little more spring in the ground start coming into their own. 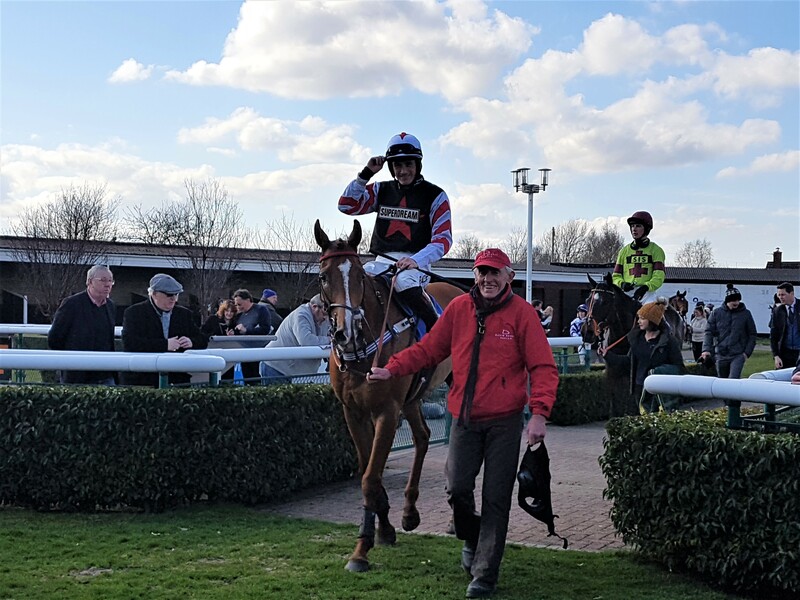 Recently the runners have been in very good form with both Schnabel & Flying Verse providing us with our first two victories of the 2018/19 season. Schnabel had been ready to run for a few weeks previous but we had to wait for the prolonged wet winter, which was making the ground unsuitably soft for him subside before eventually allowing him to make his seasonal appearance at Wincanton on the 10th of May. Ridden by amateur Mr James King claiming a handy 5lb, Schnabel was always in mid-division before taking up the running between the final flights & running all the way to the line to land the Frys Electrical Handicap Hurdle for delighted owners Professor L P Hardwick & Partner. This was Schnabel’s second win over hurdles since joining us & with his affinity for top of the ground, we now look forward to him continuing to run throughout the summer months. 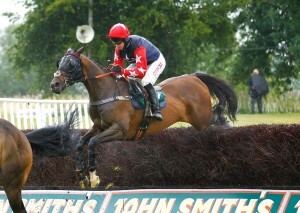 Above – Schnabel clears a hurdle in good style. 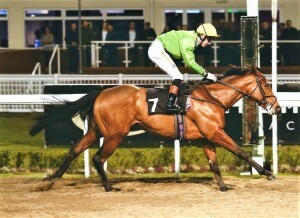 Flying Verse was our most recent winner (last night May 15th) as he landed the Horse Racing Betting Odds At bettingodds.com Novices’ Handicap Hurdle in emphatic style by some 16 lengths at Southwell under David Bass for owners Tyre Hill Farm Ltd. Flying Verse who on his previous start at Towcester unseated at the first when veering away from another runner that had run out deserved a change of luck & was sent into the lead under Bass two hurdles from home to win in good style. He too appears to appreciate the better ground & is another who will continue to run throughout the summer. 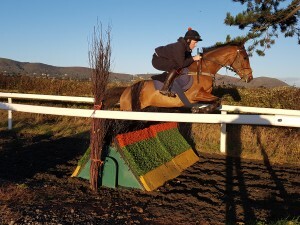 Above – Flying Verse schooling at home. Flying Verse’s elder half brother Roman Flight has also been back in action just recently following a spell of over 500 days off the track. Roman Flight who is one of our highest rated chasers made his reappearance in a flat race at Nottingham on 1st May 2018 running well to finish 3rd & was again in 3rd spot when reverting back to chasing on his most recent start in the Racing Partnership TRP Handicap Chase at Newton Abbot running yet another solid & pleasing race being beaten less than 5 lengths for owners Favourites Racing. It’s clear that Roman Flight retains all of his ability & enthusiasm for the game & we are excited to have him back in action for another campaign. 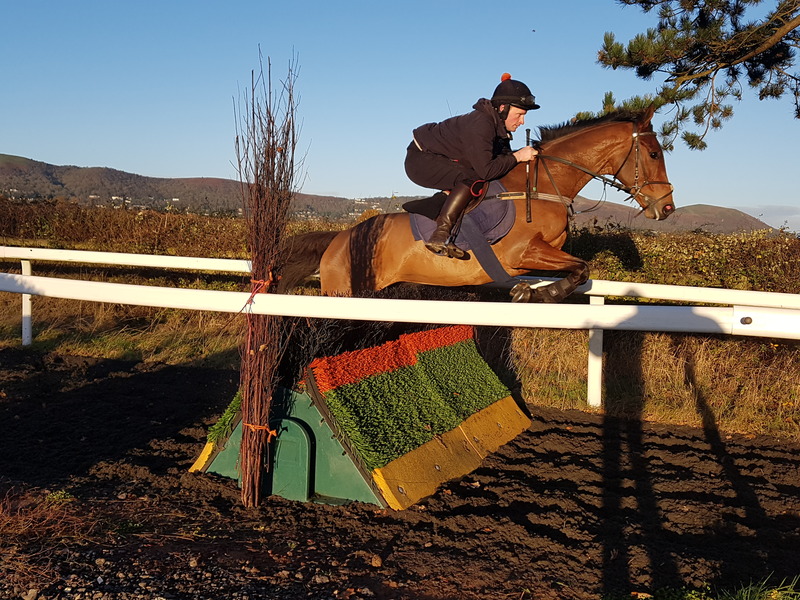 Above – Roman Flight in action over fences. 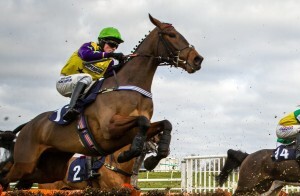 Norse Light is another whos consistency has stood him in good stead just lately as he finished 2nd on his latest start at Market Rasen beaten only a neck under Sam Twiston-Davies for the David Dennis Racing Club. 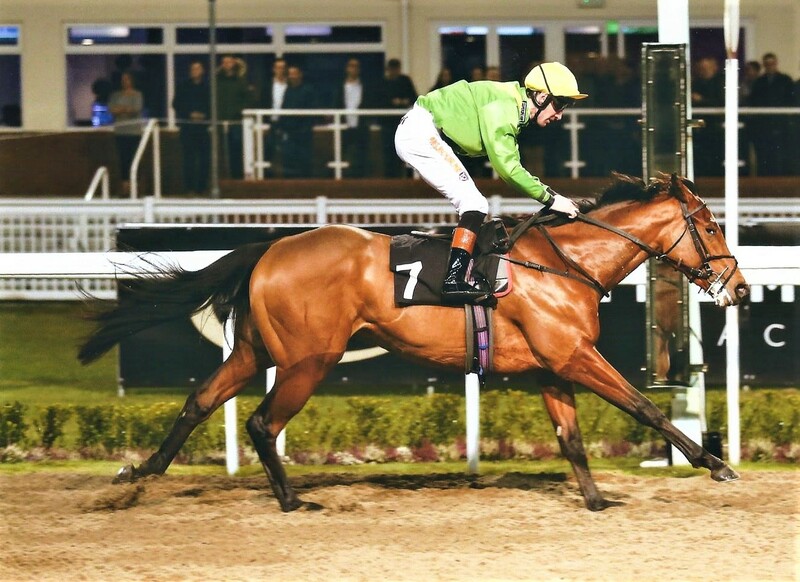 A winner two starts previous, Norse Light has cemented his self as being a most versatile & consistent horse who copes with most ground conditions & has won or been placed in the first three on no less than seven times in his last nine starts since coming under the David Dennis Racing Club ownership. Above – Norse Light enters the winners enclosure. 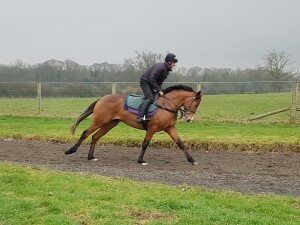 A couple of our flat horses Kingfast & Danecase have also been running very well lately & both have finished in the top four home on their recent starts. 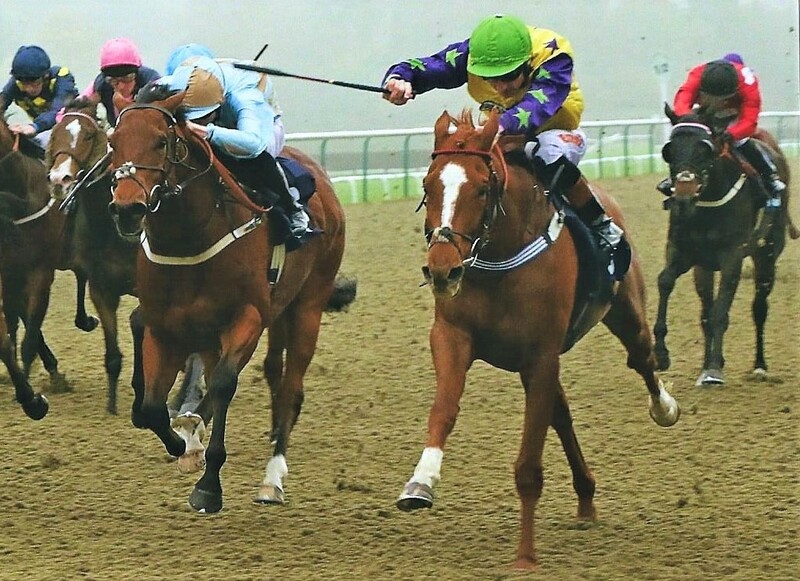 As the flat season gets fully under way, we look forward to having plenty more runners under this code throughout the next few months & both Danecase & Swissal have been declared at Newmarket on Friday (18th May) for their first turf runs of the season. 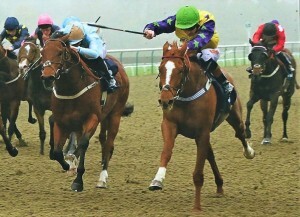 Above L-R – Kingfast & Danecase. Above – Swissal crosses the line in front.